Found in a variety of consumer products including soap, chocolate, ice cream, bread, margarine, and biodiesel, the controversial palm oil has received significant backlash for its environmental impacts [1, 2]. Palm oil is derived from the oil palm, which is one of the most rapidly expanding crops in the world, and it is mainly being grown in Indonesia and Malaysia [3, 4]. The main critique of this crop is that it has been the catalyst for significant deforestation in these areas, thus leading to myriad of other problems including soil degradation and loss of biodiversity. However, defenders of the product claim that it is one of the most sustainable vegetable oils we have and that using others oils would be worse for the environment. Deforestation is at the heart of the negative environmental impacts of oil palm farming. More than half of the new oil palm plantations or expansions in Malaysia and Indonesia required that forest be cut down for the farmland . Such farming has consequences on the soil, which has been found to have been significantly degraded as a result of intensive farming . The conversion of tropical rainforest into cropland has even more destructive results on local fauna. A meta-analysis was done on the impacts of such conversions to oil palm plantations, and the researchers found that only 15% of local forest species were found on the oil palm land . Additionally, only 22% of total species found in the natural forest were found on the oil palm plantations studied . 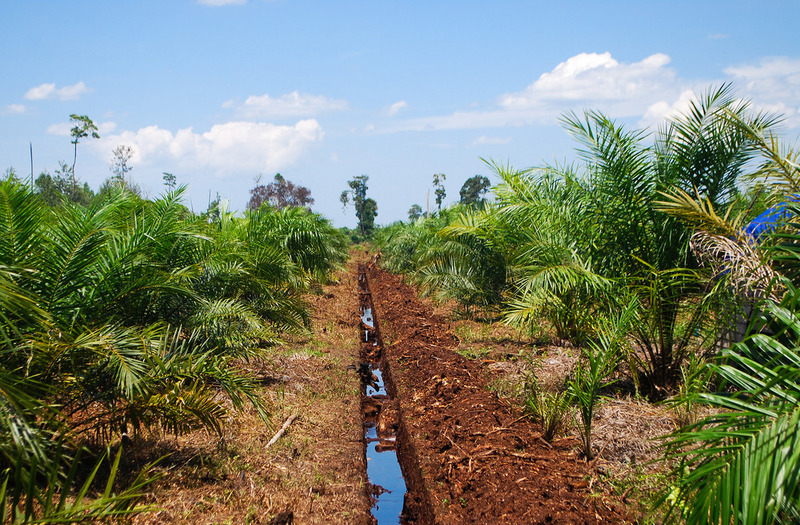 Even though oil palm farming has undeniable harmful impacts on the environment, many see it as the most sustainable way to keep up with demand for vegetable oils. Oil palms have one of the highest oil yields of the farmed oils, including sunflower, coconut, soyabean, rapeseed, and olive . Additionally, oil palms only have to be planted about once every 20 to 30 years, which means there is less waste of soil and less energy input to grow the crops to full maturity (which has to be done yearly for many other crops) . Thus, there is a strong argument to be made that even though palm oil production is extremely harmful to the environment, it may be the best choice of oil that we have. Several ideas have been put forth to reduce the environmental impacts of oil palm farming while still keeping up with the demand for it. Parent company of the palm oil-containing brand Nutella, Ferrero has been a large proponent of the Roundtable on Sustainable Palm Oil (RSPO), which certifies oil palm sources as sustainable based on if the plantations are clearing forest to keep up with demand. However, a study done on this program found that RSPO was only really adopted by plantations which had already cleared the forest available on the property . Other ideas such as incorporating forest fragments on plantations have proven ineffective . Overall, it seems that although the production of palm oil does have severe effects on biodiversity in Southeast Asia, oil palms are one of the more efficient sources of vegetables oils we have. Thus, perhaps the best way to preserve rainforest and combat these negative impacts is to reduce our consumption of products requiring vegetable oils rather than boycotting the oil palm completely.